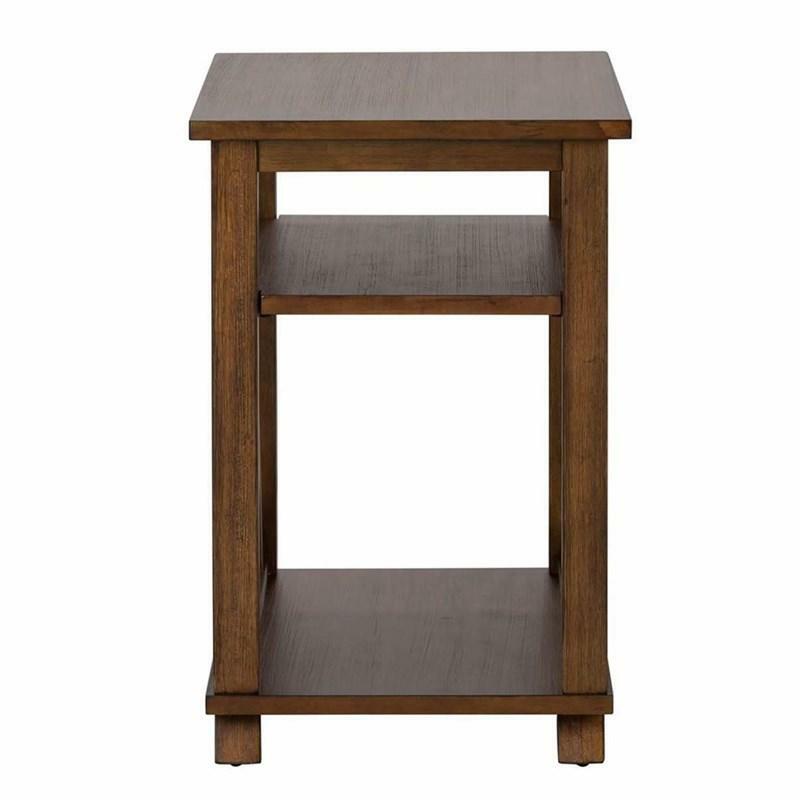 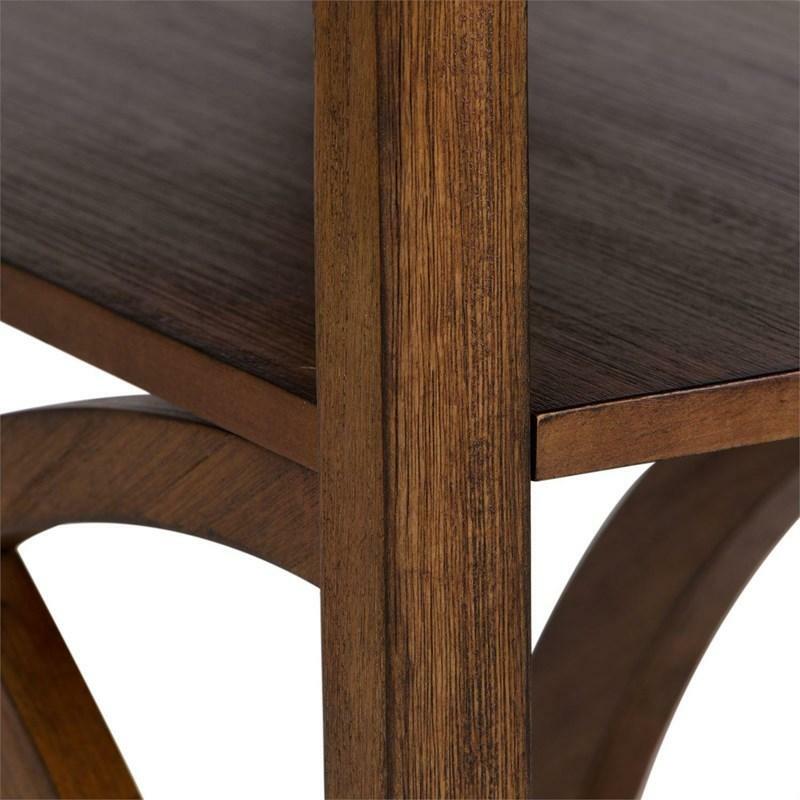 The Chesapeake Bay Chair Side Table by Liberty Furniture has a casual beauty with Oak veneers and solids. 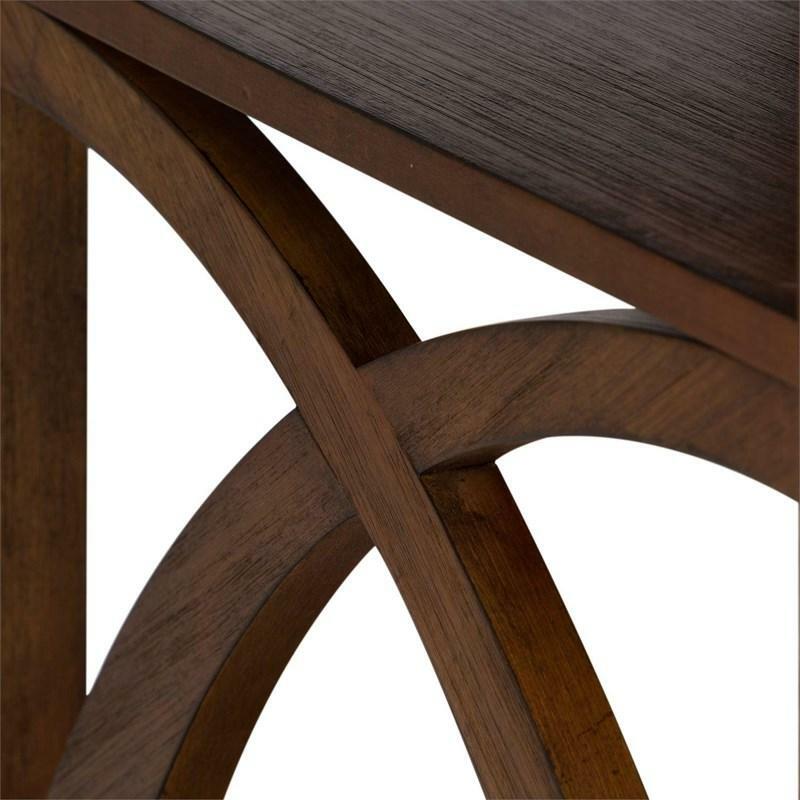 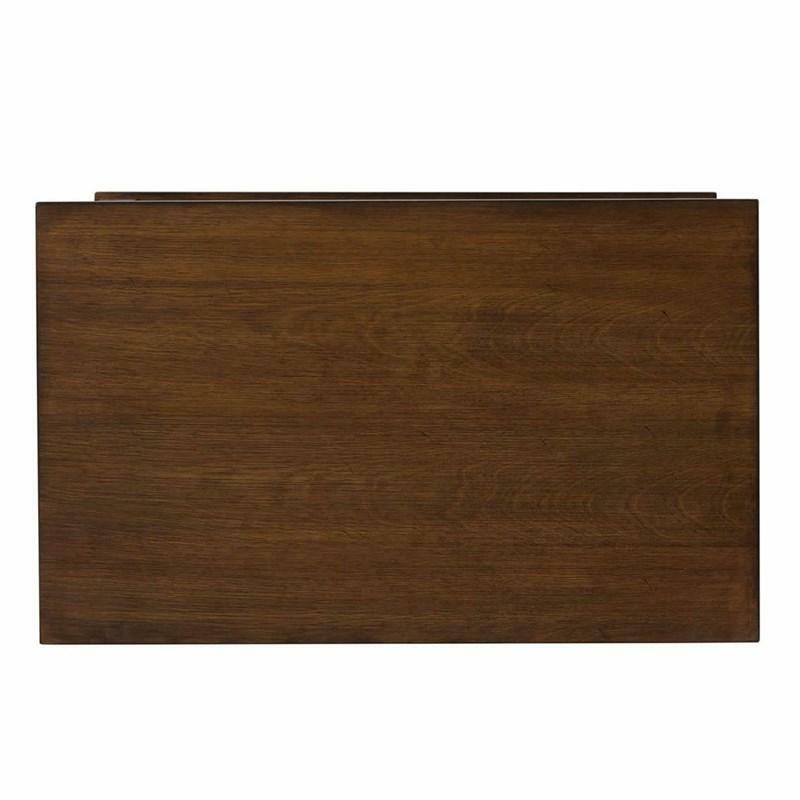 The wire brush finish and X design are visually appealing and make this piece a perfect addition to your living space. 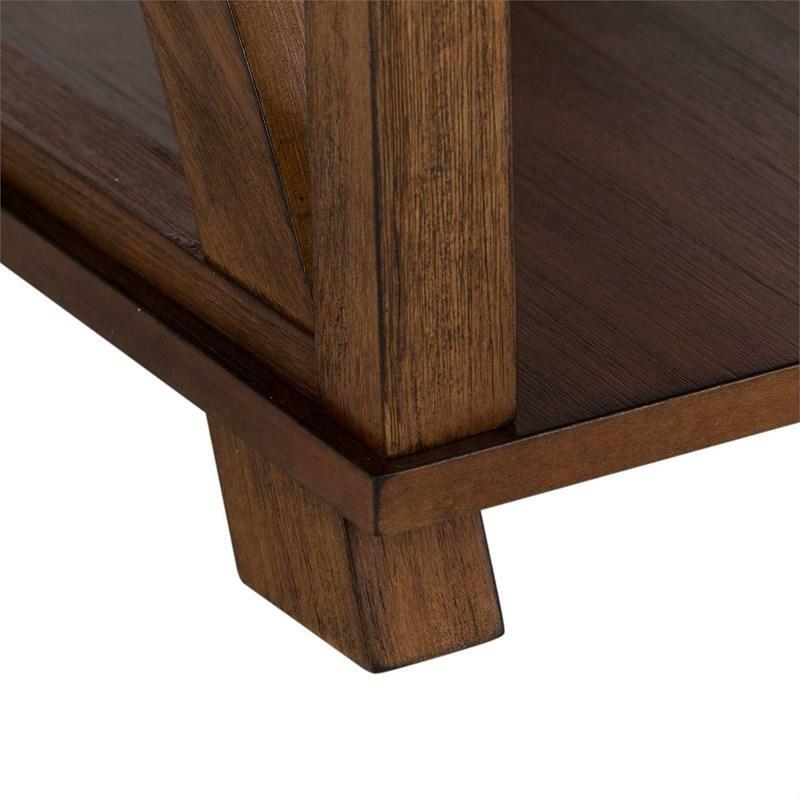 Volume 4.3 cu. 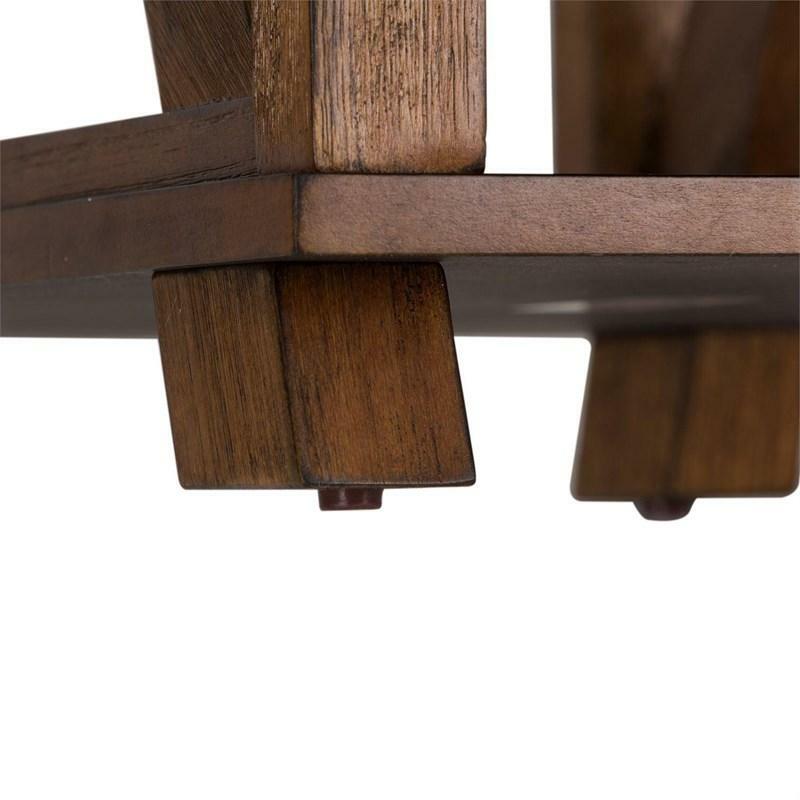 ft. / 0.12 cu. 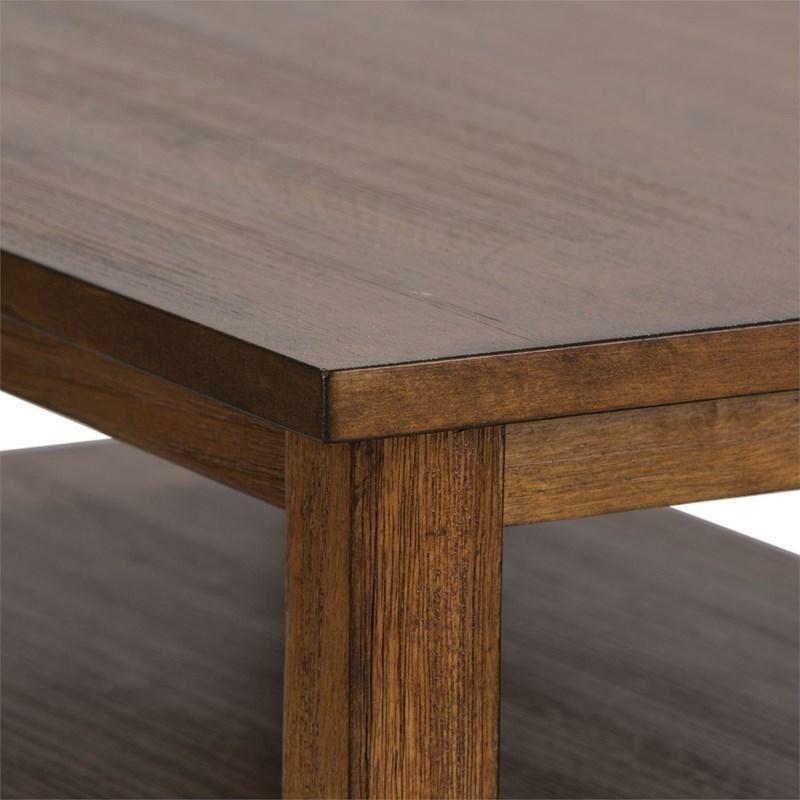 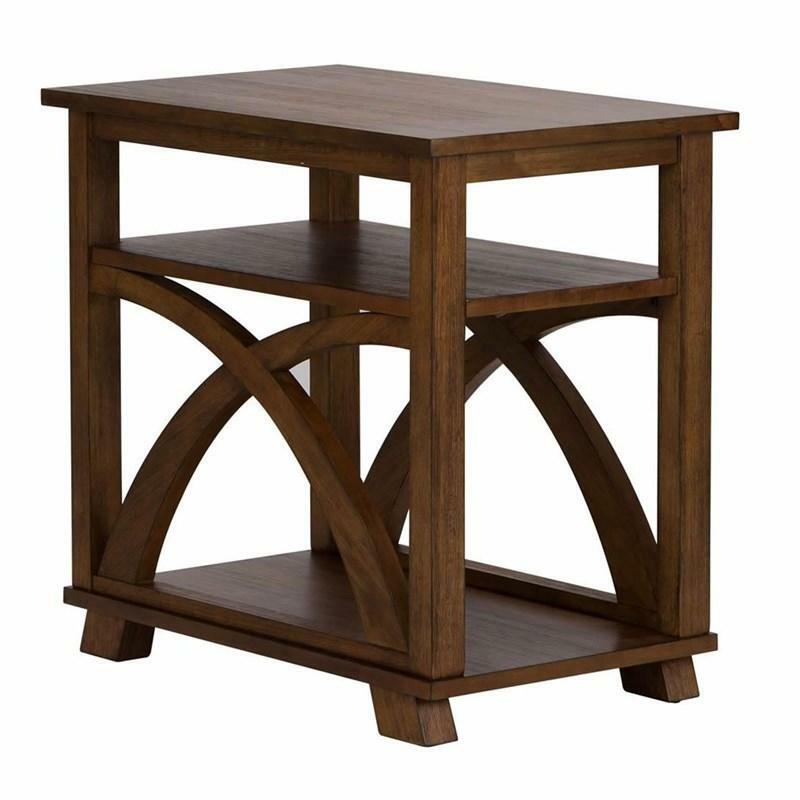 m.
The Chesapeake Bay Cocktail Table y Liberty Furniture has beautiful Oak veneers and solids and features a wire brush finish, casters, and pull out trays. 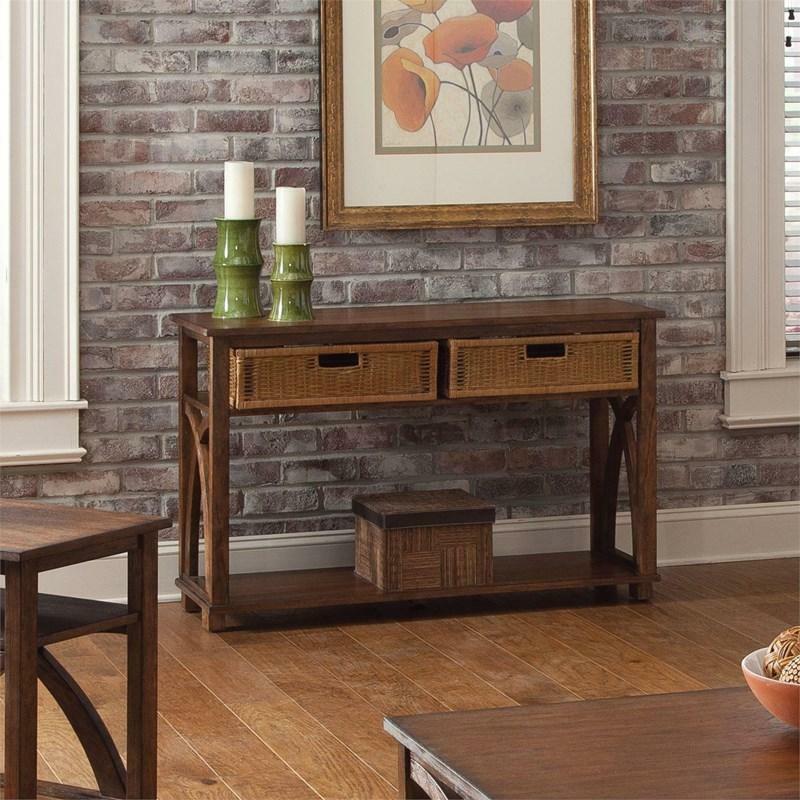 Its Sunset Finish is sure to fit with any décor. 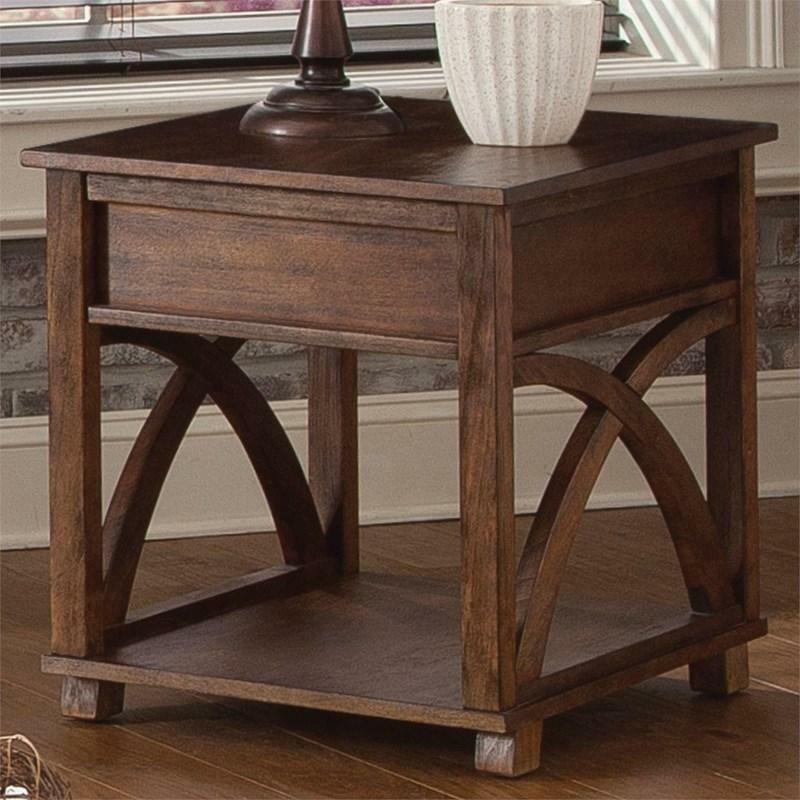 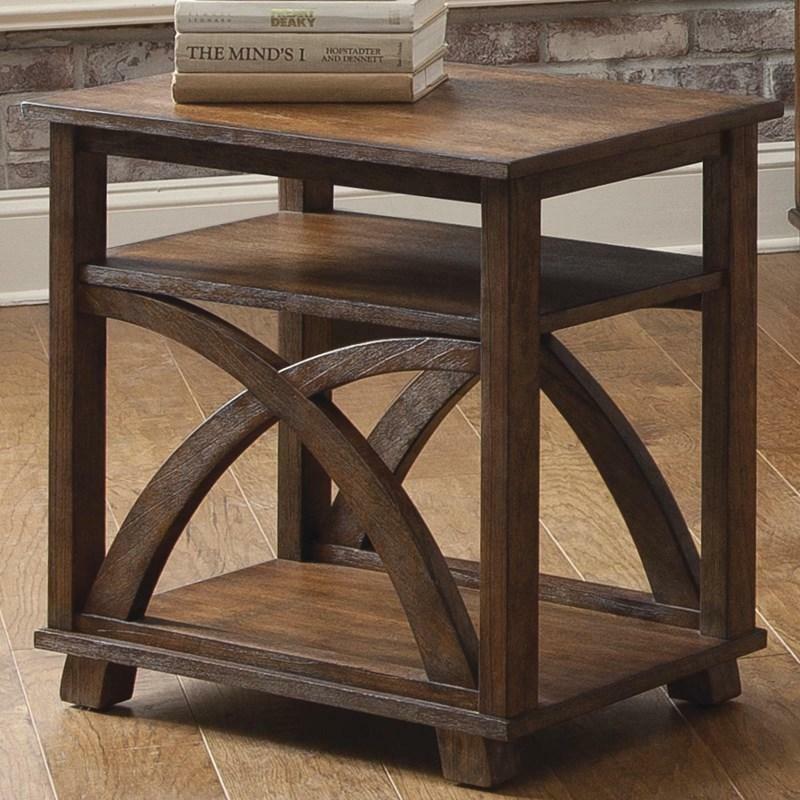 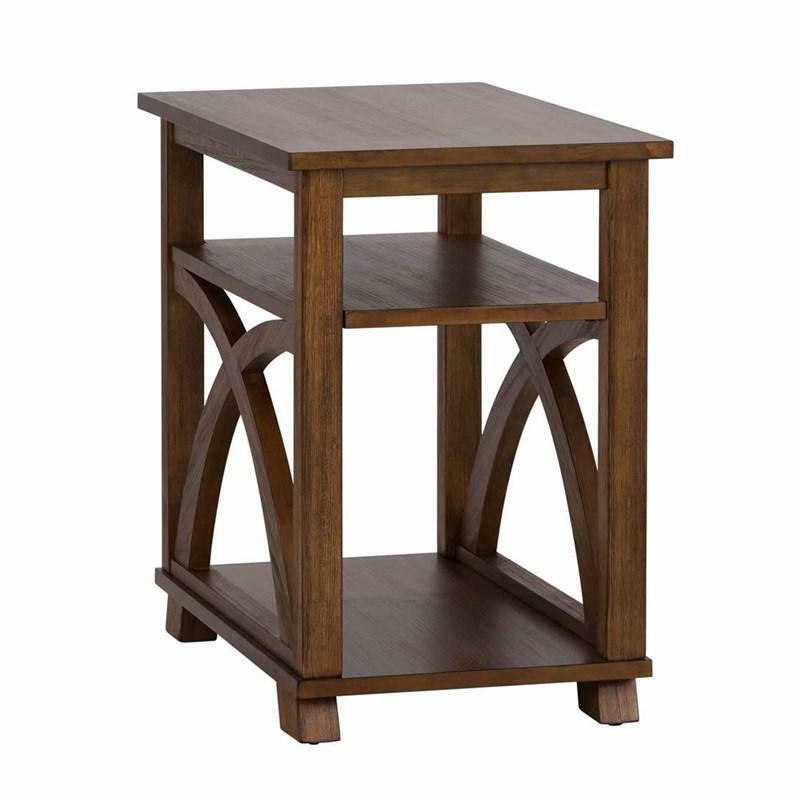 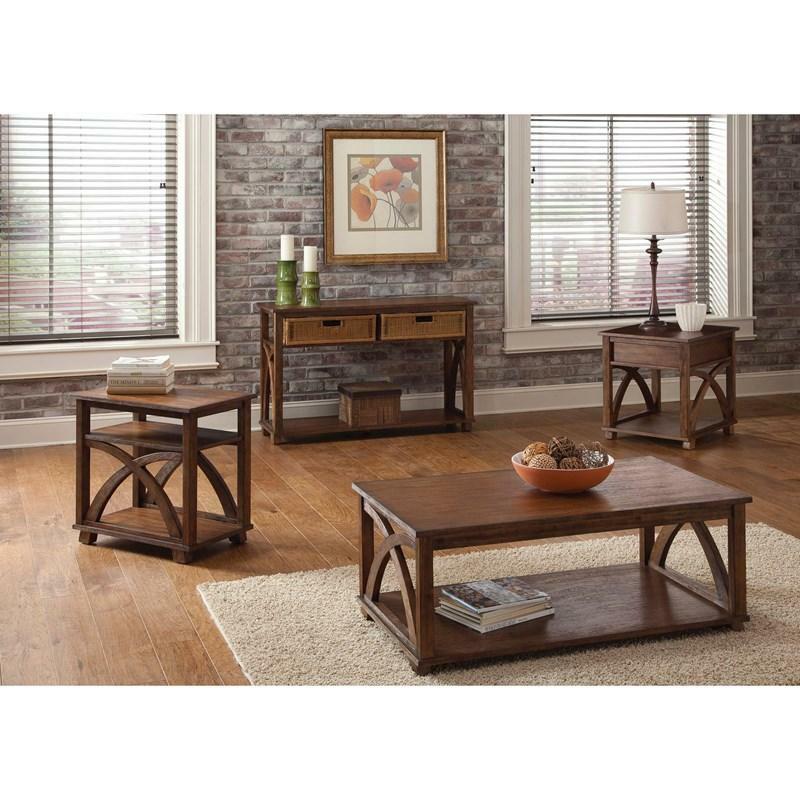 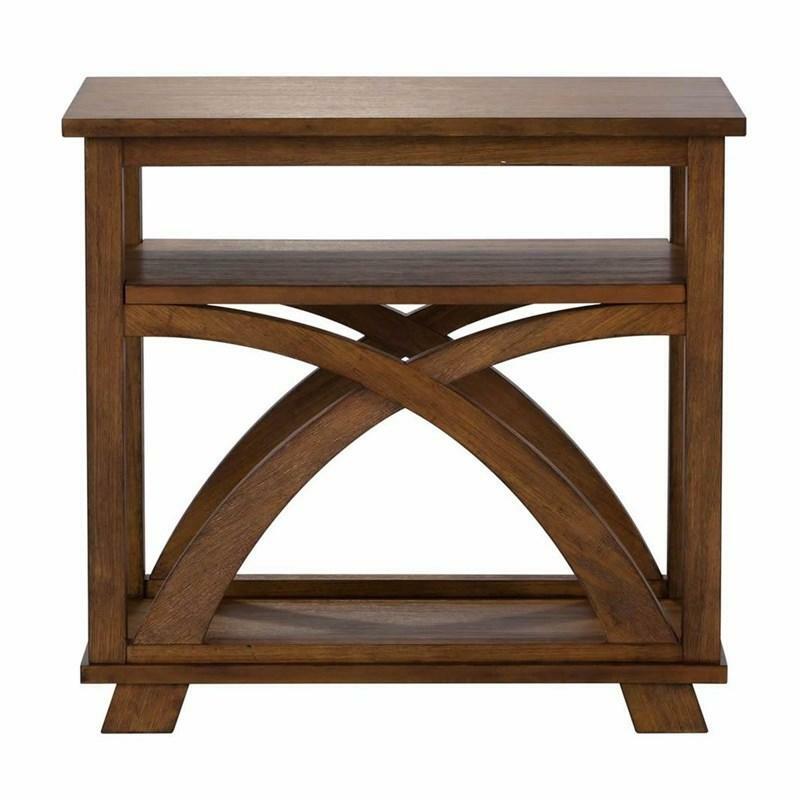 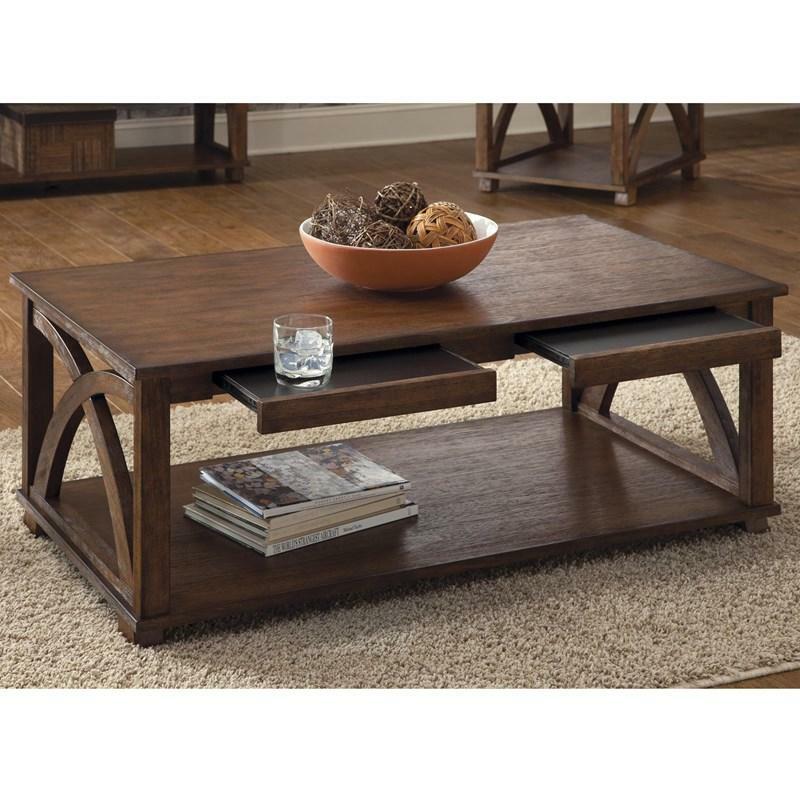 The Chesapeake Bay Sofa Table by Liberty Furniture is visually appealing with its arched X design and oak veneers and features basket storage, a durable design, and a wire brush finish.